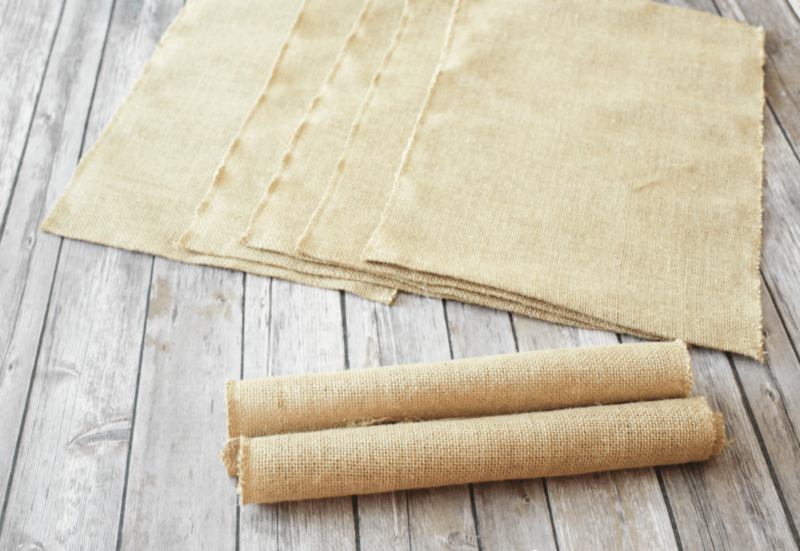 These burlap placemats would make a great little addition to any Fall table decor. They are simple, easy to make, and very low cost. Update: I’ve recreated the mats as of Fall 2017 and updated this post with clearer steps and new and brighter images since I now have a better camera, more lighting and since you tend to like the mats so much. I also realize that some of the original photos (before the update) have disappeared from here. So sorry for the inconvenience if you came by earlier. Hopefully, these new images and clearer instructions will be of help to you. These new mats were created the same way as the original (photo above). Directions: Lots of photos to show the steps but it’s really easy. 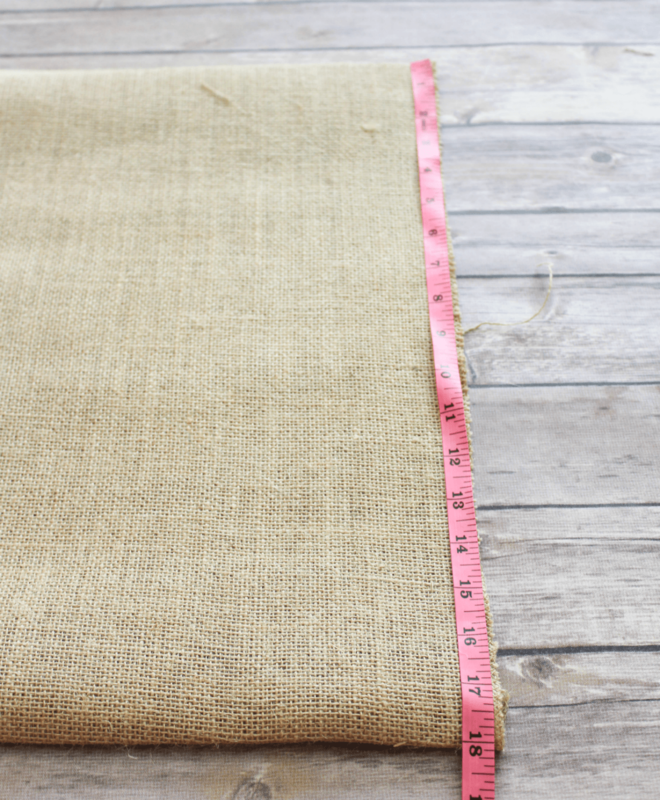 Unroll the burlap partially and measure the size of one mat. 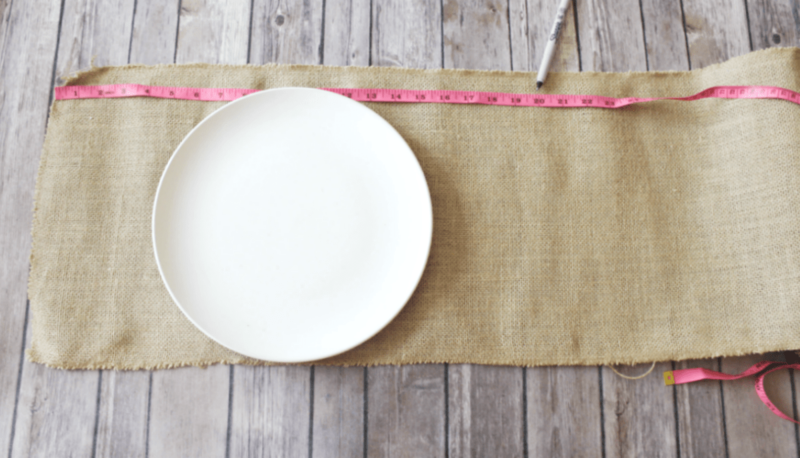 I’m not sure what is the standard size of a placemat but I measured up to 20 inches. I wanted 18 inches for the actual mat plus an extra inch on the right and left sides for gluing (directions further down). 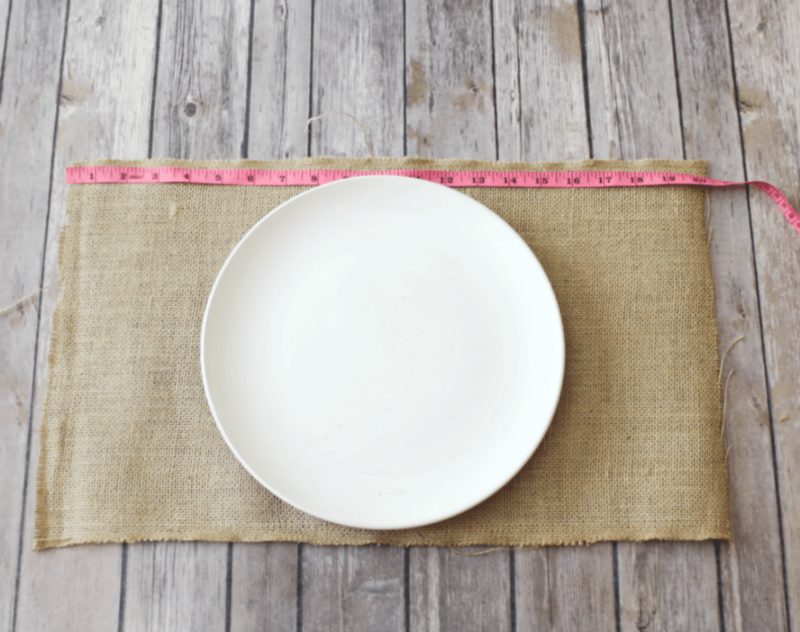 Make sure your plate size could fit on the mat with extra room for utensils. This mat is big enough for a plate, cup and utensils on the sides. 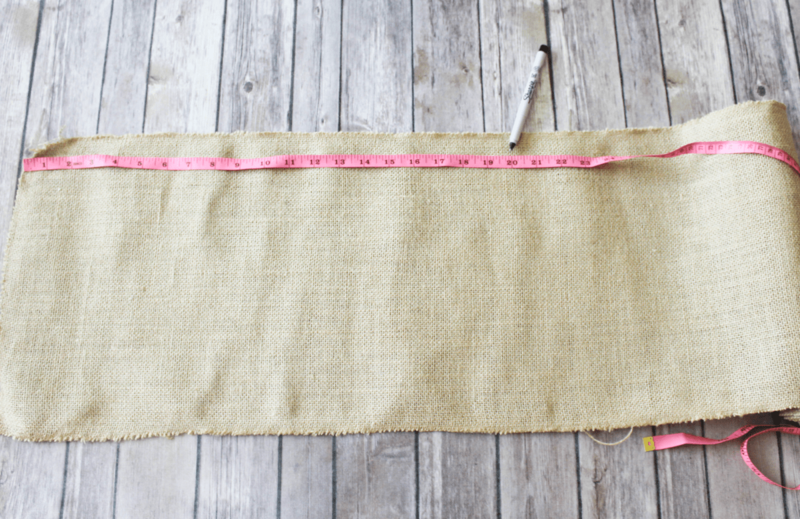 Place a dot or a small slit at the 20 inch mark (do not cut it out fully yet). You can cut it out fully and use it to cut out individual mats but I find it easier to use the fold over method (see below). 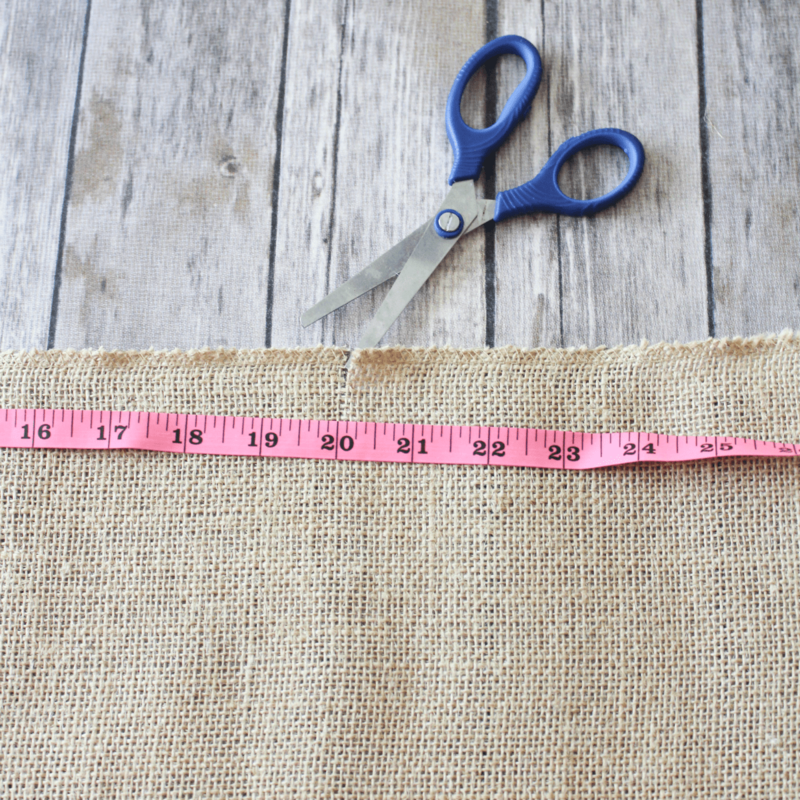 Take the end of the rolled up burlap and fold it over the the measured mat, unrolling as you go. 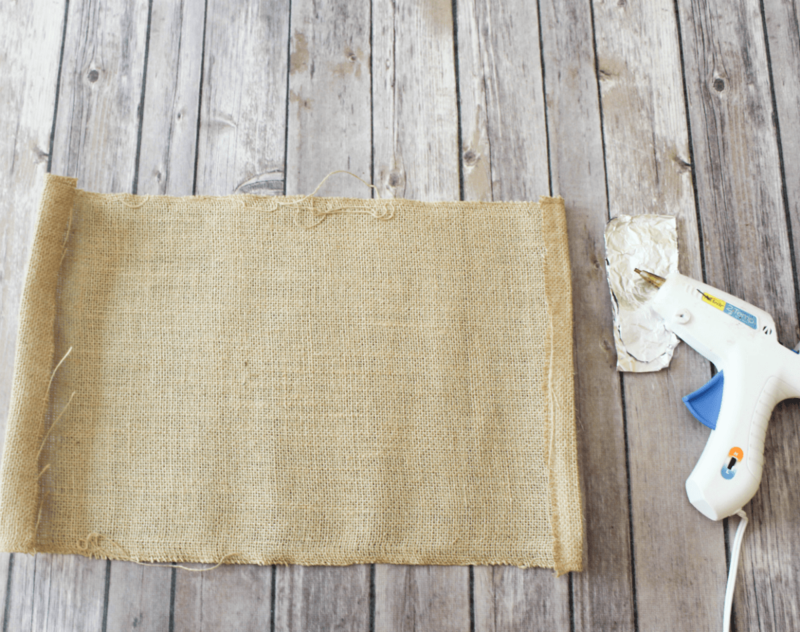 If you look closely at this next image you’ll see how I folded over the first mat while unrolling the burlap. 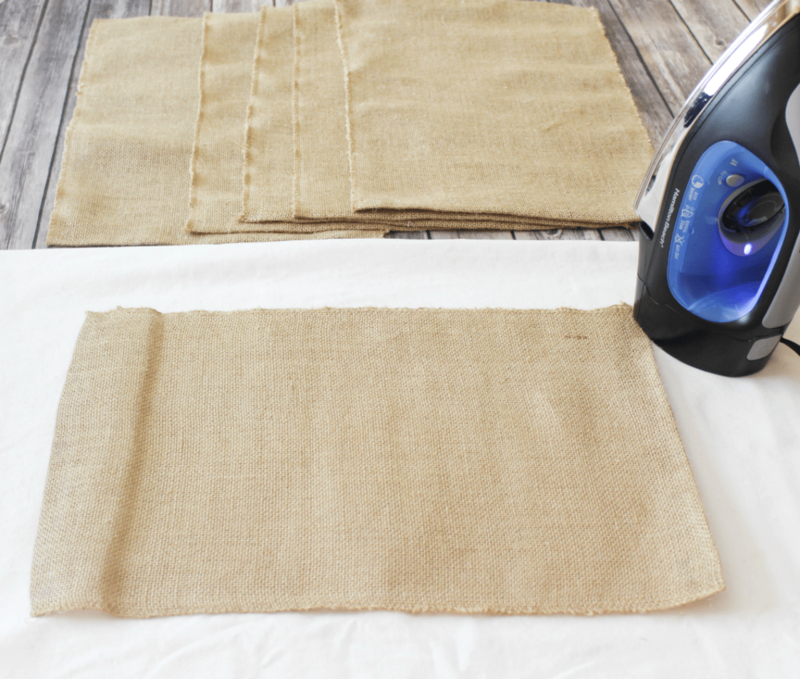 Simply fold back and forth to create more mats. Cut through the folded ends. You’ll end up with 6 mats if you use the same length and measurements as I did. 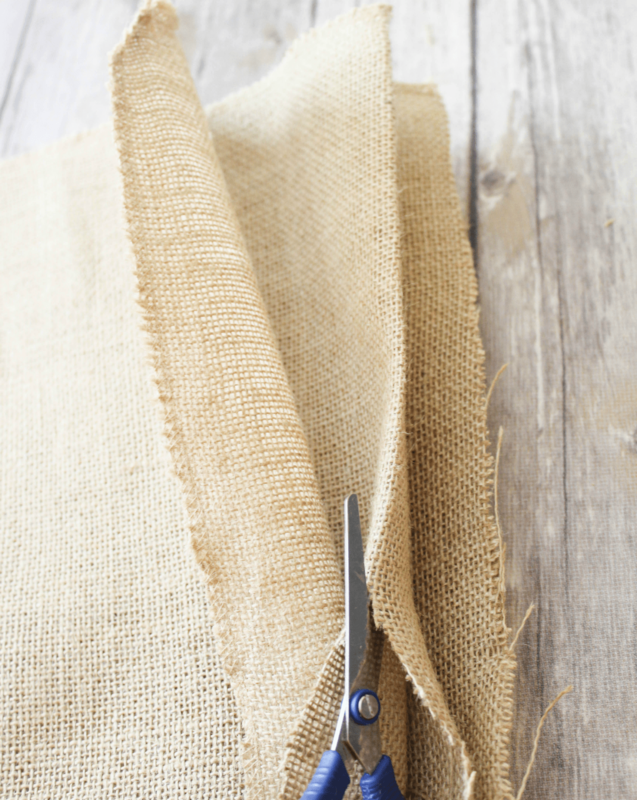 Trim the loose ends a little. This is how it looks when I placed a plate on it. It’s already a mat even with the unfinished sides. Remember at the beginning I mentioned leaving an extra inch on either side of the mat for gluing. Turn the mats over to the back then fold over an inch on the right and left sides (see next photo). Hot glue the ends to keep them in place and to create a finished look at the front. (The top and bottom of the mats will remain the same since we did not cut around the edges). NOTE: You could get a little more creative with the ends – don’t hot glue but unravel the ends for a shabby look, or hot glue lace or ribbon around it. Anything goes. Once you’re done gluing the sides to the back, turn the mats over to the front. Each should now measure out to 18 inches. Here are all 6 that I did. You can see how one is still rolled up and the other 5 looking all finished. No loose ends. 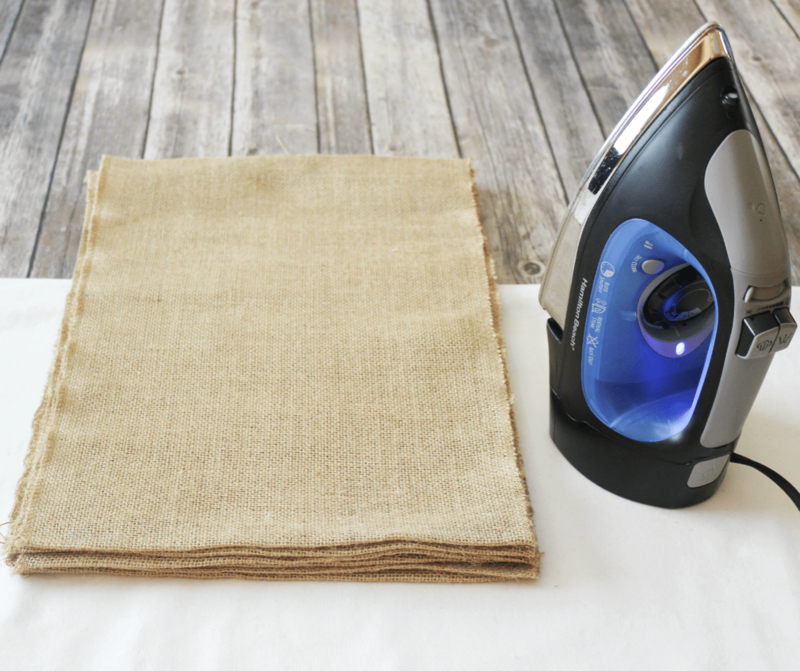 If you want to smooth out your mats a bit, use a warm iron to do so. 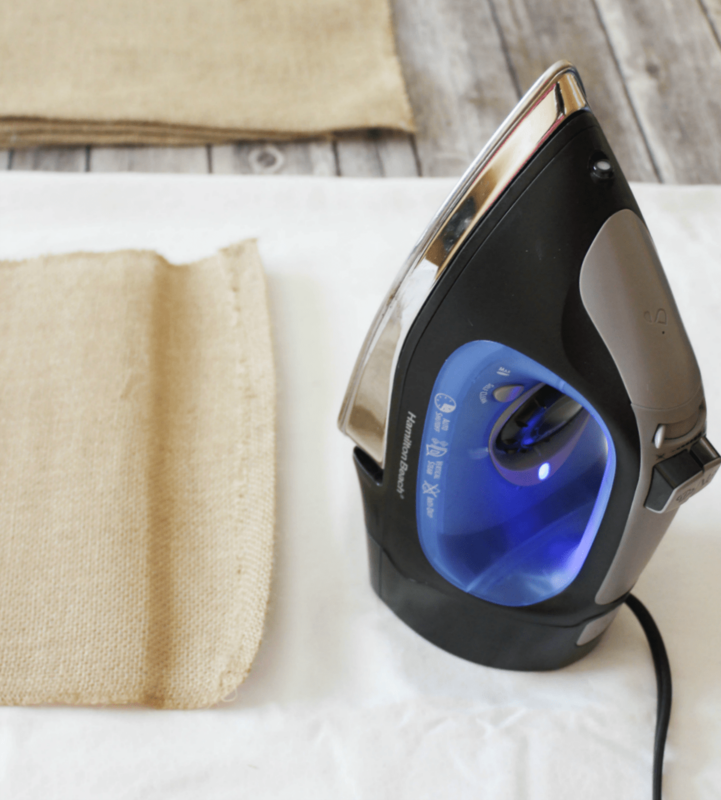 Be sure to test one little end so that the heat from the iron would be just right. I didn’t check what setting I used but it was on the lowest possible. Also, I didn’t feel like getting out the ironing board so I placed the mat over a folded table cloth on the table where I was already working. 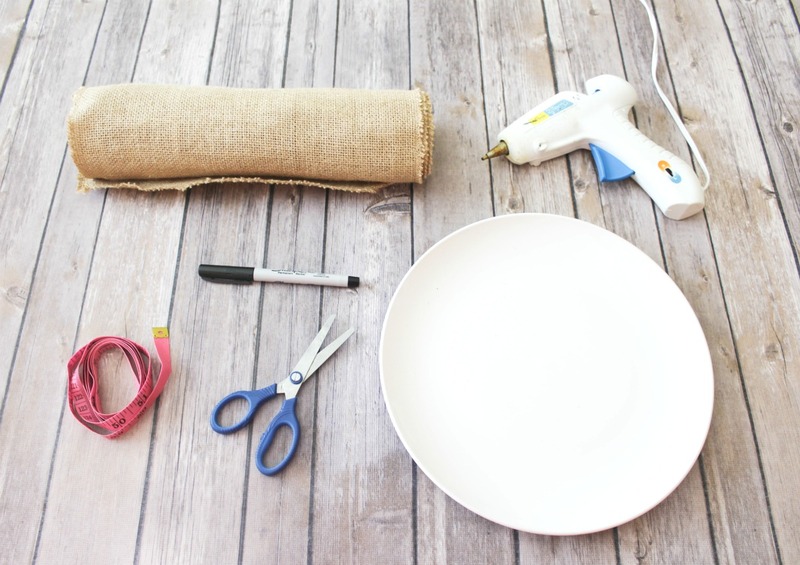 And there you have it – DIY burlap placemats. I was pretty surprised how easy these were to put together. The first time, they took less than an hour with a few interruptions. This time, they took a bit longer because I was just taking my time, while making sure that the step-by-step photos were clear enough. If you’re not photographing, I’m guessing these could be done in like a half hour or less. Note: Dry clean or spot clean only. If you wash them, they’ll get all shriveled up and shrink some. Then you’ll have to try and iron and stretch them out again. Here is another look at the original version. Don’t forget to pin it if you like it!! What do you think? 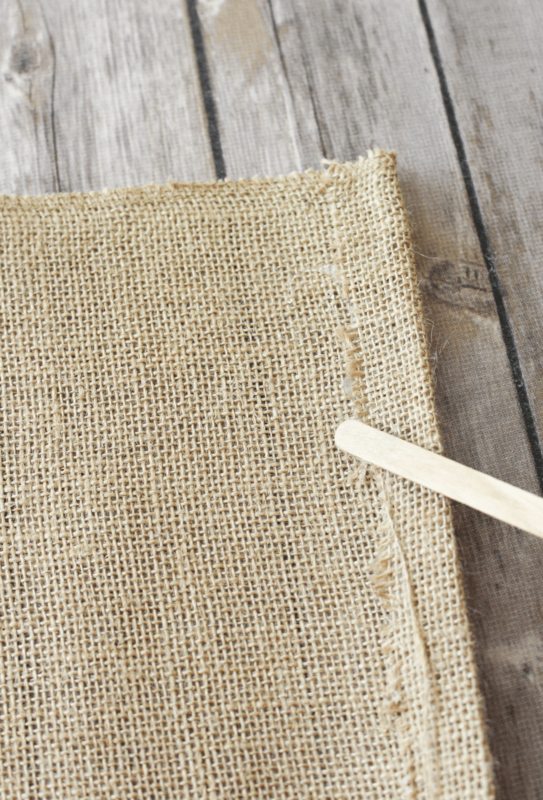 Have you made burlap or any kind of placemats before? I would love to know your thoughts in the comments below! 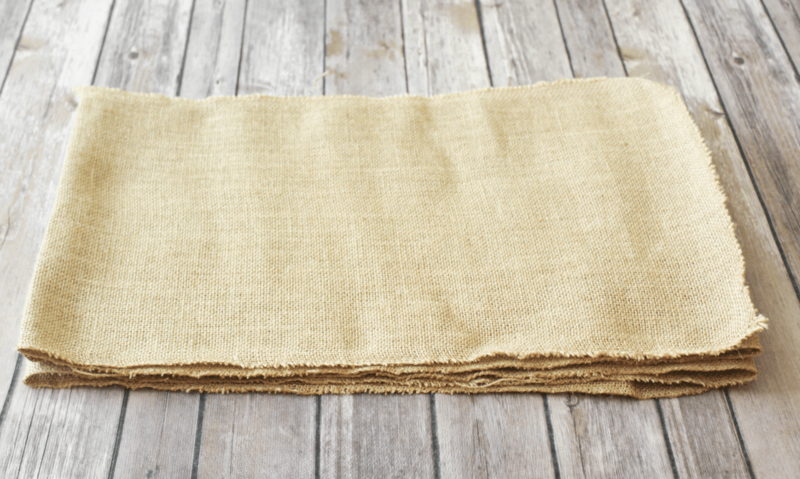 Find a roll of burlap by clicking here on the link below (affiliate link). What a great idea! To me, rustic and fall go hand in hand. I have a roll of burlap somewhere around here. 🙂 I like that this is a no-sew project. I would be lost without my hot glue gun. I know, Fall does seems to go hand in hand with rustic. These were really easy to make and definitely will make a great rustic addition to our Fall dinning! 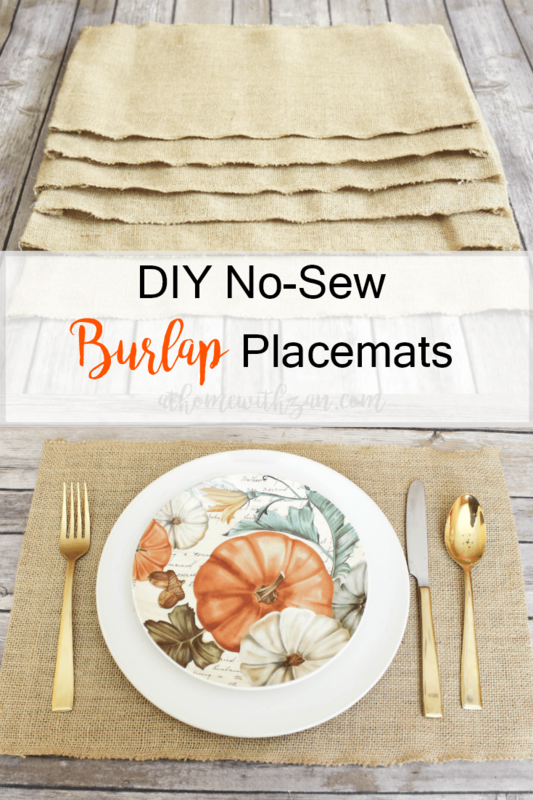 My sister has used burlap place mats and runners to decorate for Thanksgiving a couple of years now. It’s very rustic but yet has an elegance to it for sure. I also kind of like the smell, is that weird? The smell, LOL!! 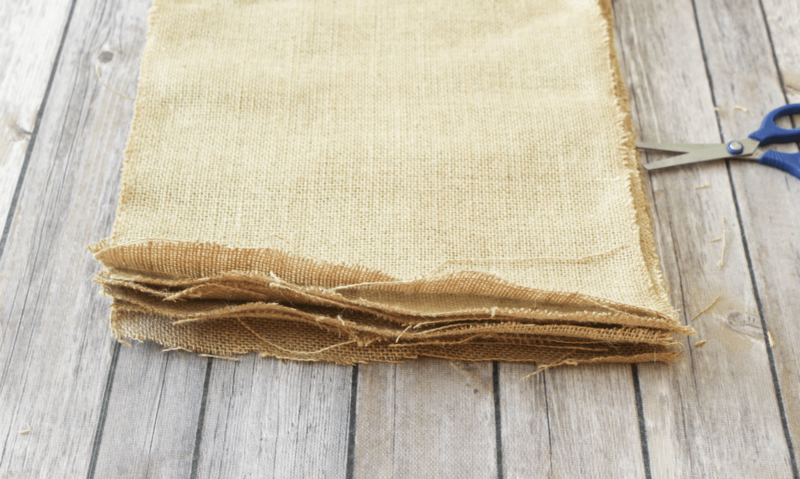 But really, you cannot go wrong with burlap!! I love these! 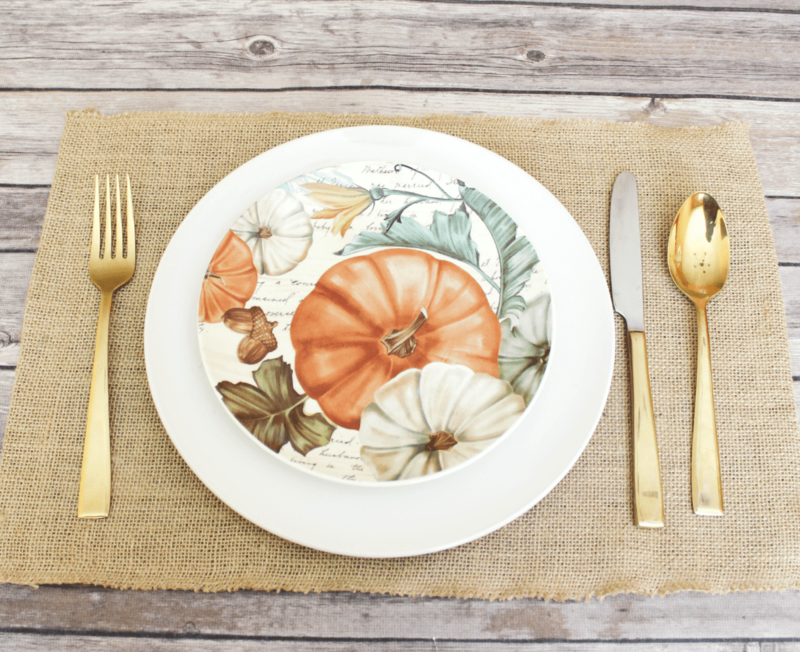 They would make a great fall table setting (I have 2 kids also…so my table never gets any kind of “setting” done to it…but I like the thought!). 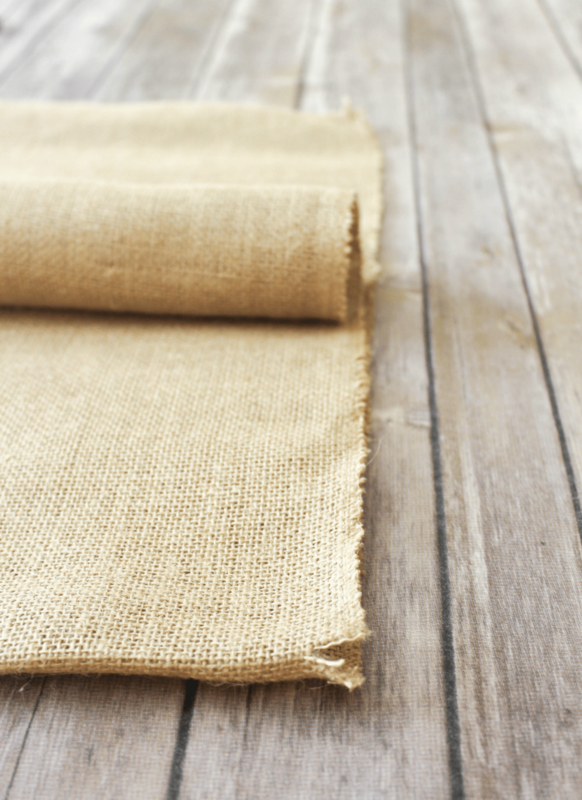 I love burlap and fall colors or even burlap and white for the spring. 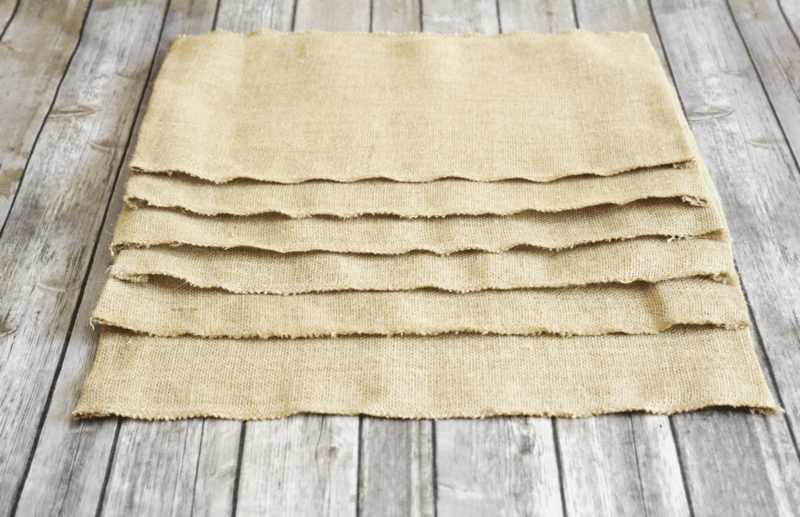 I, like you, have been wanting some place mats and so I may have to look into some burlap. Thanks for the DIY!! Glad I am not alone with the placemat dilemma! Hope it works out for you!! Those came out super cute! I might try this, but I would love to do some pretty lace around the outside! Great idea! I was pretty please with how cute they looked, too. Pretty lace sounds like fun! Oh I love this idea! 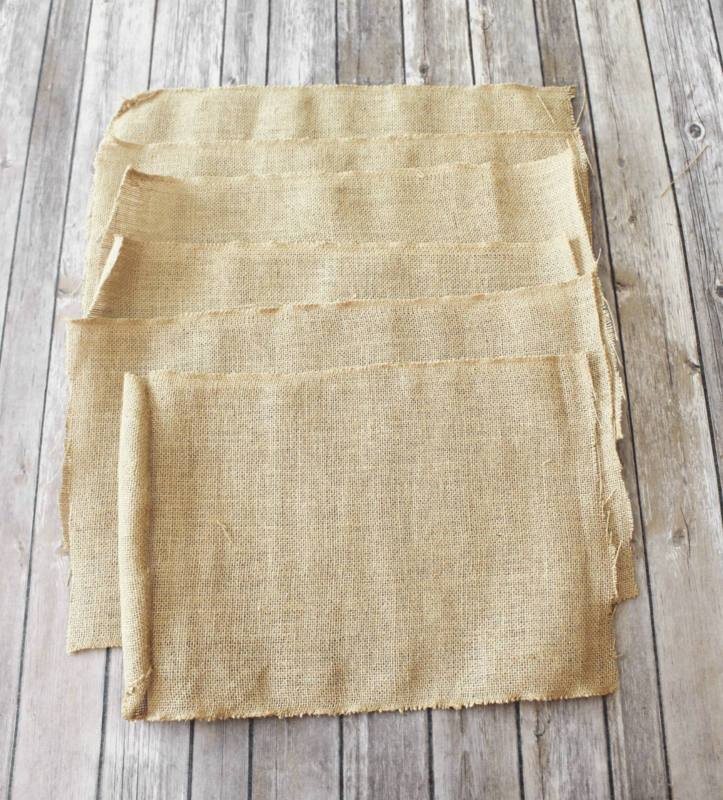 I also have some burlap laying around and need a good project to use them for. 🙂 I was wondering how to finish the edges and now you have solved my problem. Great post! I am so glad I helped you solve this. Have fun creating a finished edge!! Those turned out cute and they are so easy to make. And they are so on trend right now because I see burlap everywhere on IG. Thanks for sharing! I’ve been wanting to make these! They turned out great. Thanks for sharing this tutorial. I’m off to making placemats. Thanks! So super easy to make. I hope it works out super well for you. This is such a good idea! I’m sure a lot of people will be copying it very soon! Thank you for sharing it with us at the Your Home Decor & More Link Party! I am glad the idea came to me, sort of out of no where!